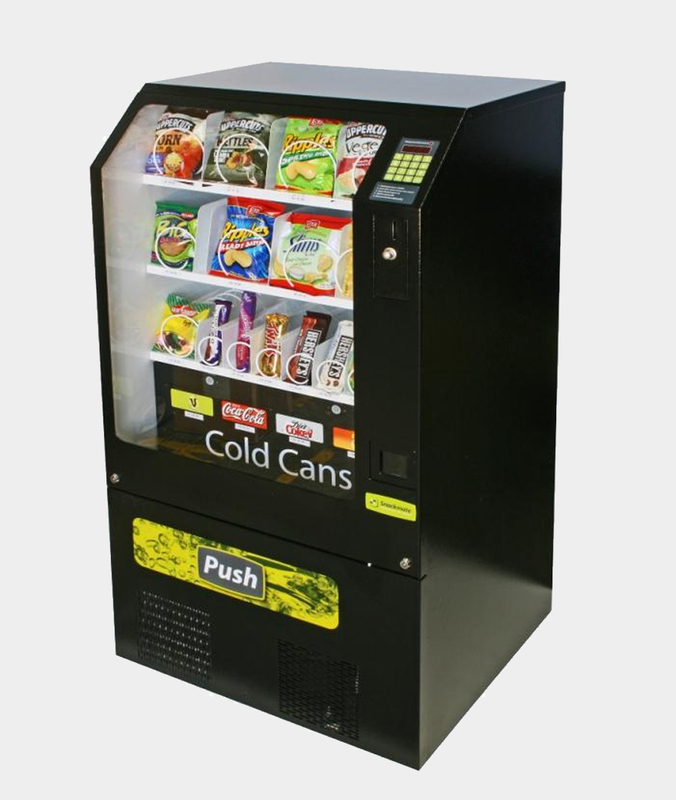 The Snackmate SM Combo is a 3 tray snack and 4 selection can, change giving vendor for medium to large size locations. Dimensions Height: 1340 mm, Width: 725 mm, Depth:610 mm & Weight: 150 kg. Selections 12-24/4 (Standard Selection: 16-4). Capacity 156 snacks (max 264)/104 drinks (156 drinks with expansion Cassette) Capacity increased further when using 250ml kit. Cold drink expansion cassette - increase your cold drink capacity by almost 50% in Summer by simply replacing the 3rd snack tray with a cold drink expansion cassette. Front ventilation allows machine to be placed hard against a wall without restricting ventilation to the refrigeration system. Refrigeration module is easily accessible by removing front panel. Options: Flexible tray & can module configurations including a kit for 250ml energy / smartdrink cans.